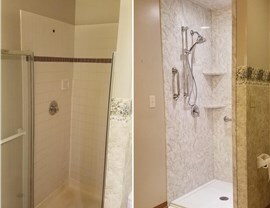 From full-scale renovations to replacement showers, bathroom remodeling doesn't have to be an expensive chore. Work with Alenco to find out why! As the premier provider of Kansas City bathroom remodeling services since 1986, we, at Alenco, understand that every customer is unique. As such, we believe that every customer deserves 100% personalized attention and outstanding services, no matter how big or small their home improvement needs are. 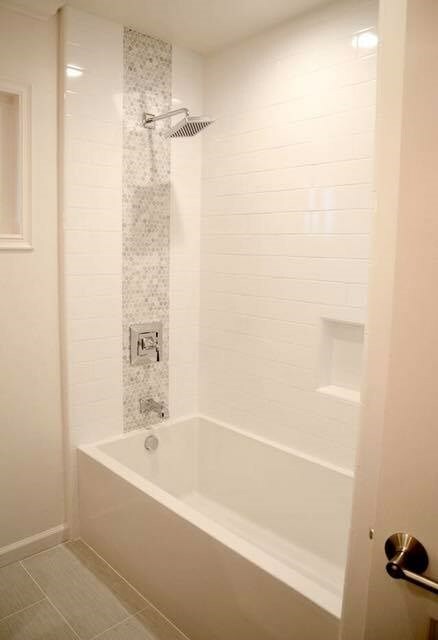 From full-scale bathroom remodeling to single installations of replacement bathtubs, Alenco offers a variety of customizable renovation solutions and a highly trained team of professional designers and installers. 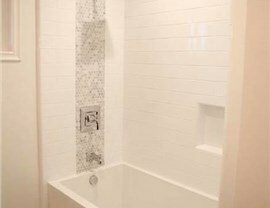 For every bathroom remodeling project, we draw on our over 30 years of local experience to offer you the best solution for your unique bathroom remodeling challenges. 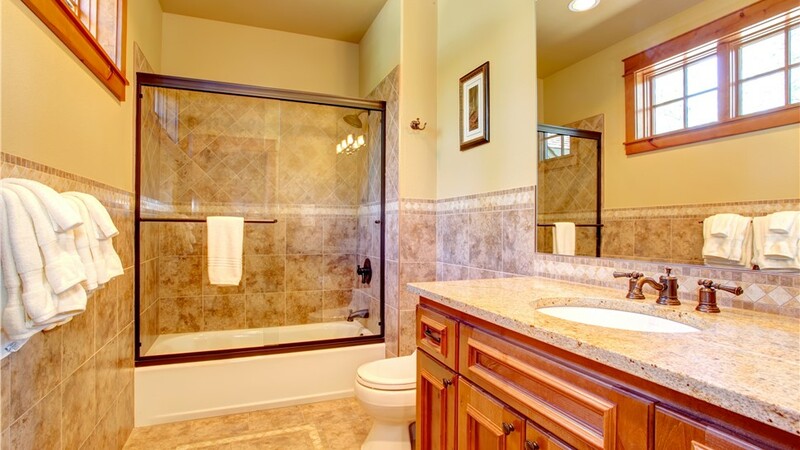 As a family-owned and operated business for nearly 30 years, our Kansas City bathroom remodeling services stand out from the crowd for one simple reason: our family cares about yours! 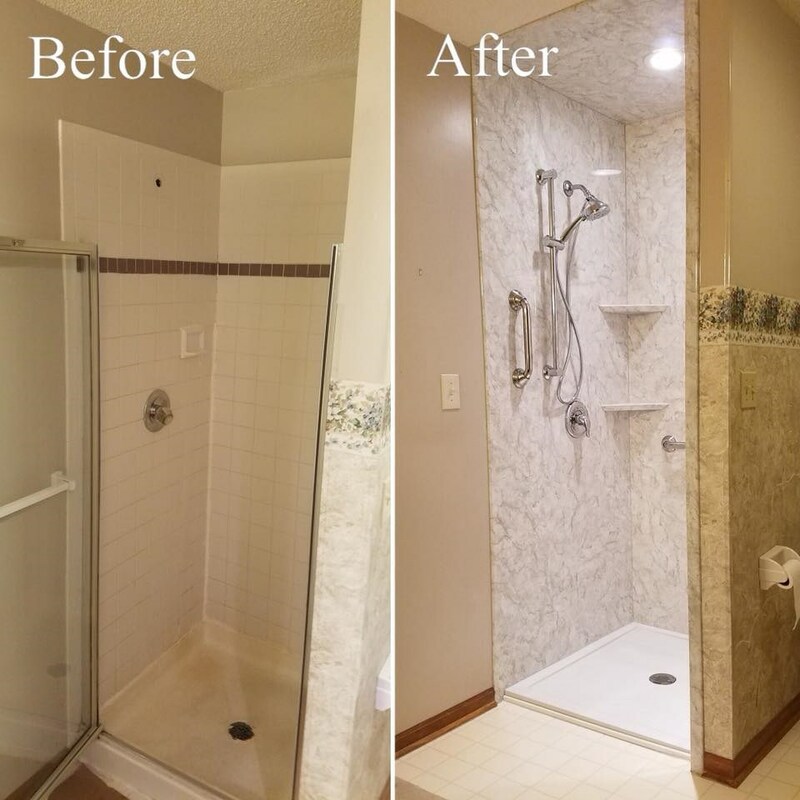 To get your Kansas City bathroom improvement started, we’ll schedule a complimentary in-home consultation with one of our home improvement experts. 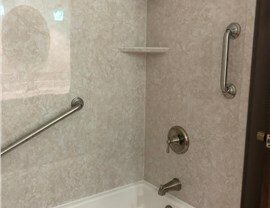 They will assess your space, listen to your needs, and help you choose your ideal services from our robust list of bathroom remodeling options. 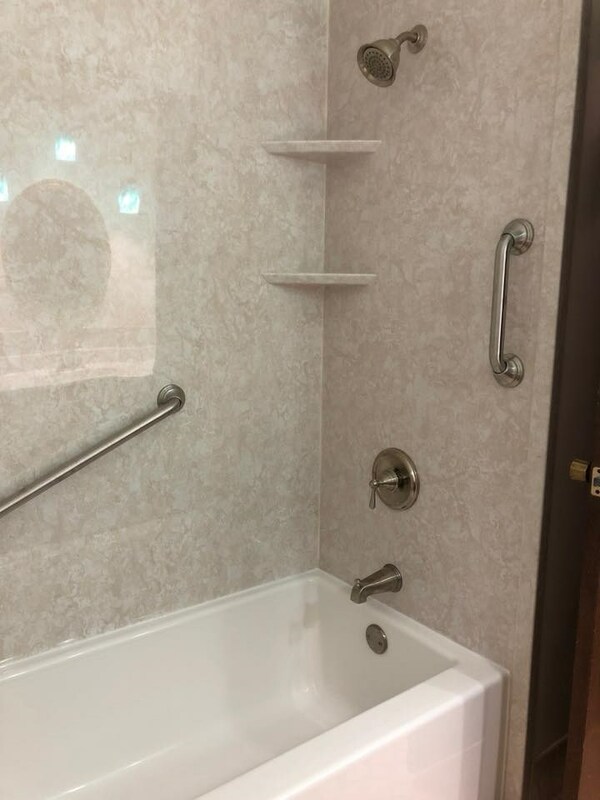 Whether you’re looking for a more accessible tub for an elderly or handicapped loved one or you’d like to finally replace your leaky, cracked shower stall, Alenco’s experts are here to help you find exactly what you need. We always put our customers first, so you can rest assured that we’ll work closely with you to do what’s right for you based on your space, budget, intended use, and design goals. At Alenco, we’re proud to complete our Kansas City bathroom remodeling projects using the latest products from leading manufacturers including Liners Direct, Jacuzzi, and Rane Tubs. With each product available in a variety of colors, finishes, and styles, your bathroom will be perfectly tailored to you. From new bath liners to walk-in showers, when you work with Alenco for your Kansas City bathroom improvement, you’ll receive an array of long-lasting benefits that you can’t get anywhere else. Lasting durability: From high-quality acrylic to durable, beautiful glass, all of our products are built to last without regular maintenance. Easy to clean: Don’t mess with mildewed grout or chipped tiles ever again! Non-porous acrylic and EverClean technology are just a couple of our special features that repel mold and mildew to cut your cleaning time. Quick installations: Alenco’s factory-trained installers can complete your bathroom remodeling quickly, professionally, and without making a mess. 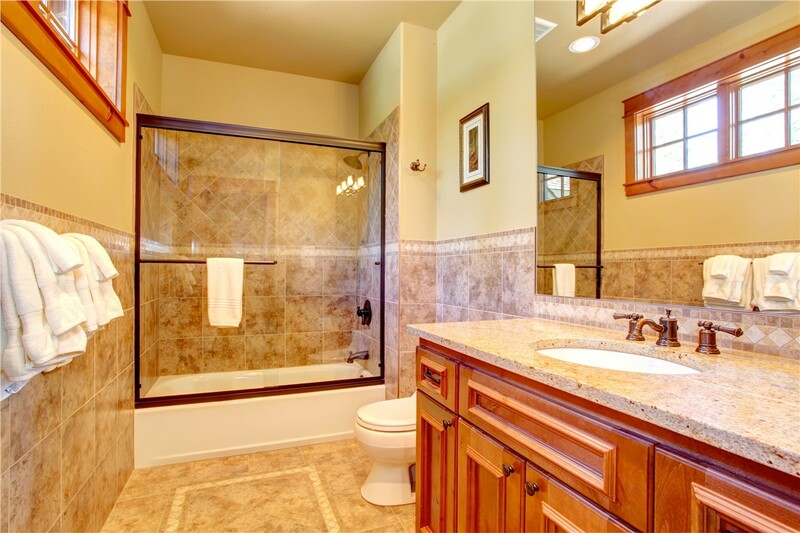 To learn how we can customize our Kansas City bathroom remodeling services to meet and exceed your unique project needs, give us our friendly representatives at Alenco a call today, or fill out our quick online form. To see our stunning bathroom options in person, just stop by our 36,000-square-foot showroom in Lenexa!